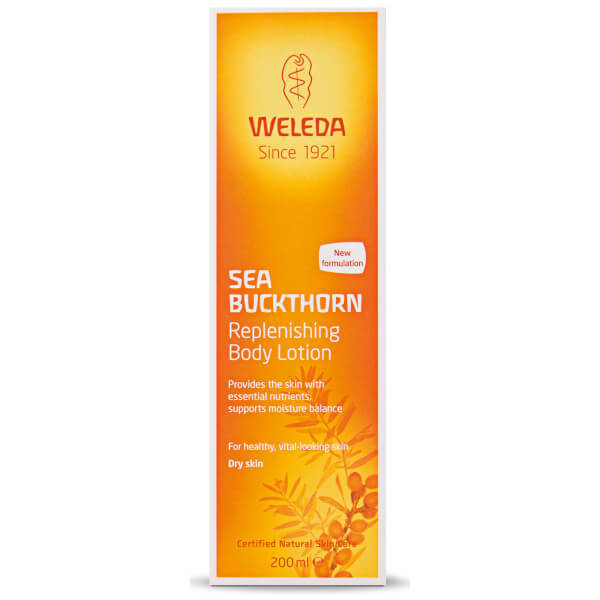 Weleda Sea Buckthorn Replenishing Body Lotion is specially formulated for dry skin that often gets exposed to the elements. 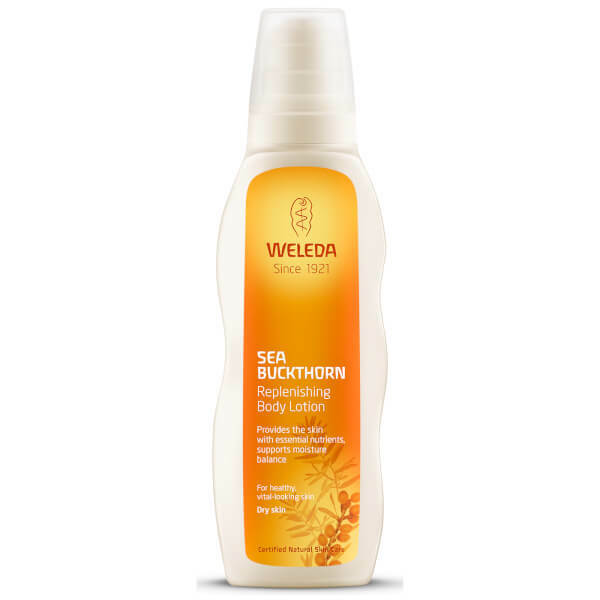 Enriched with fatty acids and vitamin-rich oil from sea buckthorn, mallow extract and shea butter, it protects against moisture loss and improves the skin's self-regulating functions. The fruity fragrance awakens the senses, whilst the caring ingredients provide visible and lasting results for skin that feels soft and supple.